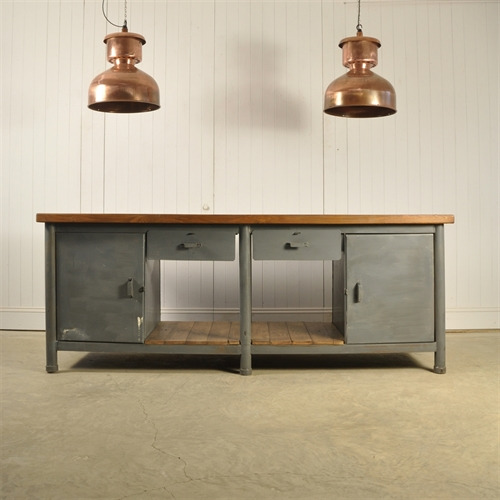 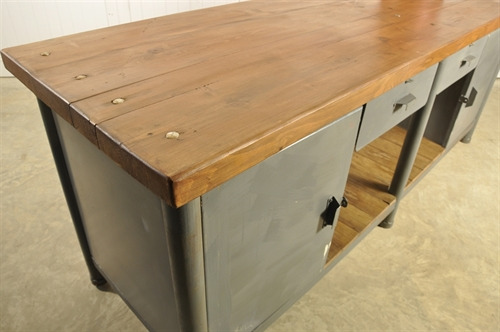 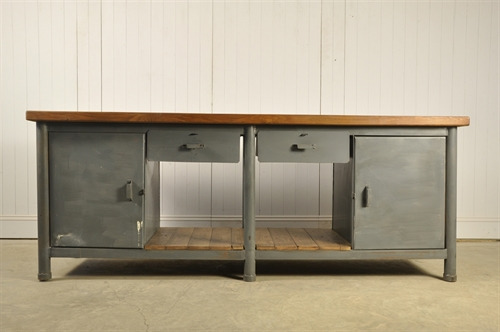 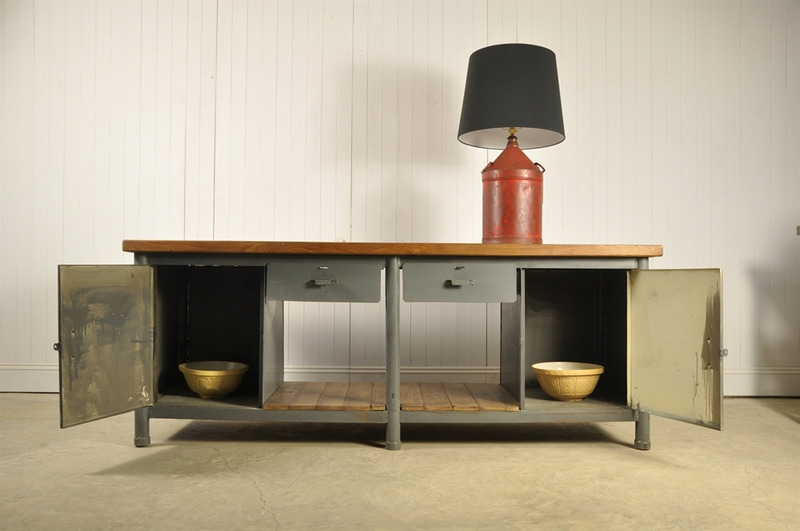 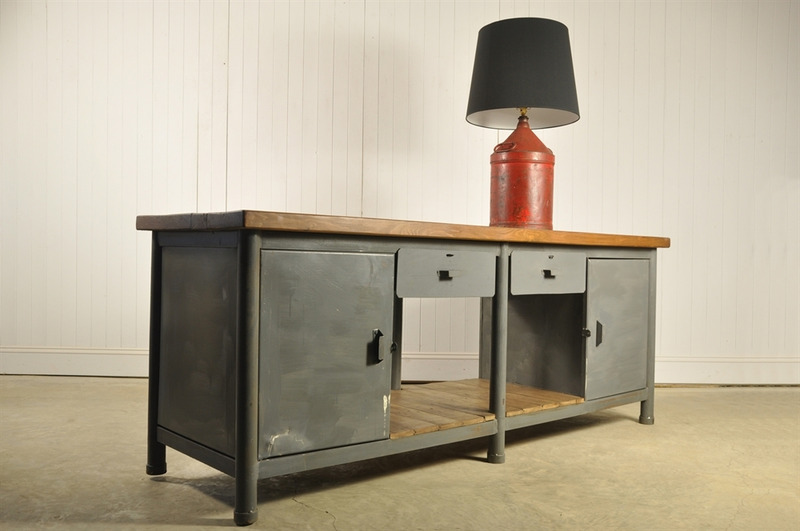 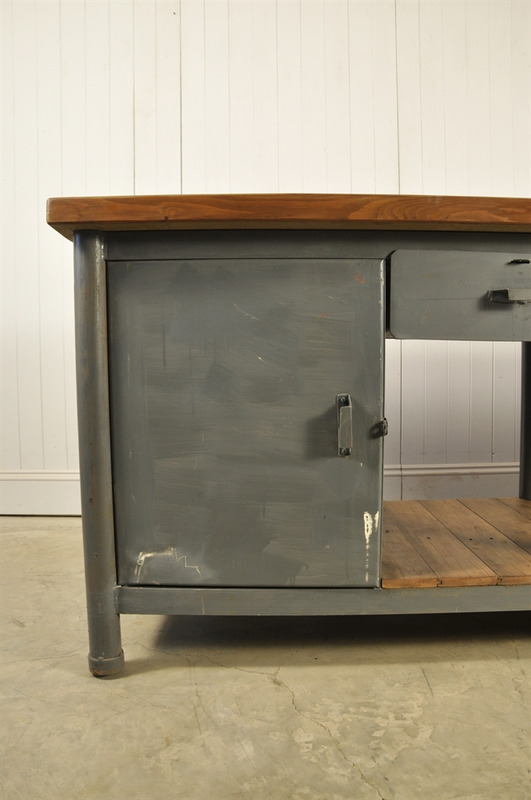 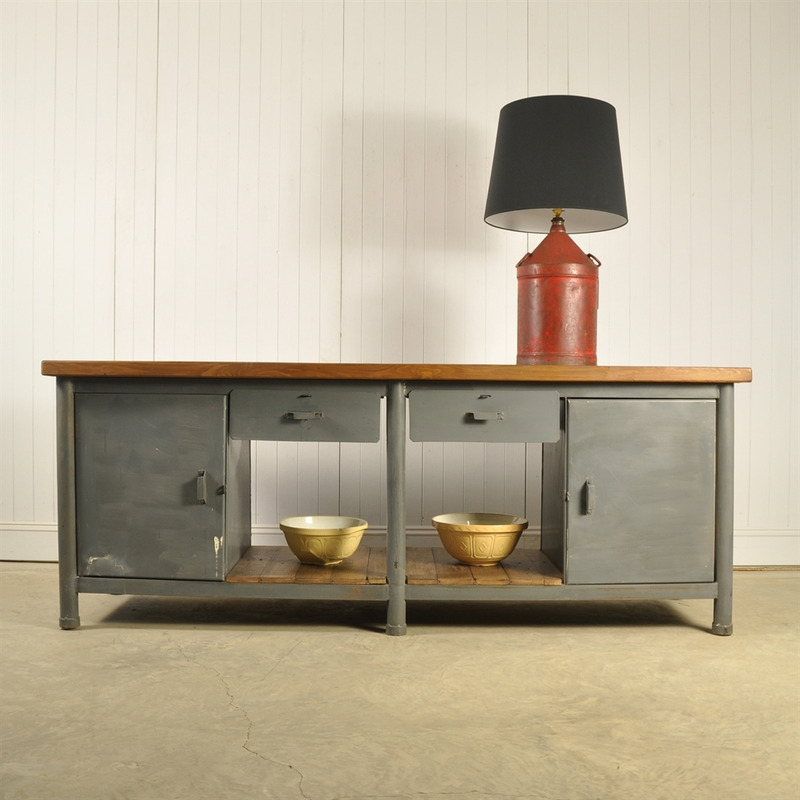 This circa 1940's vintage industrial workbench was sourced in the Czech Republic. Lots of bumps and scrapes as per its age with a few scratches here and there, all very authentic. 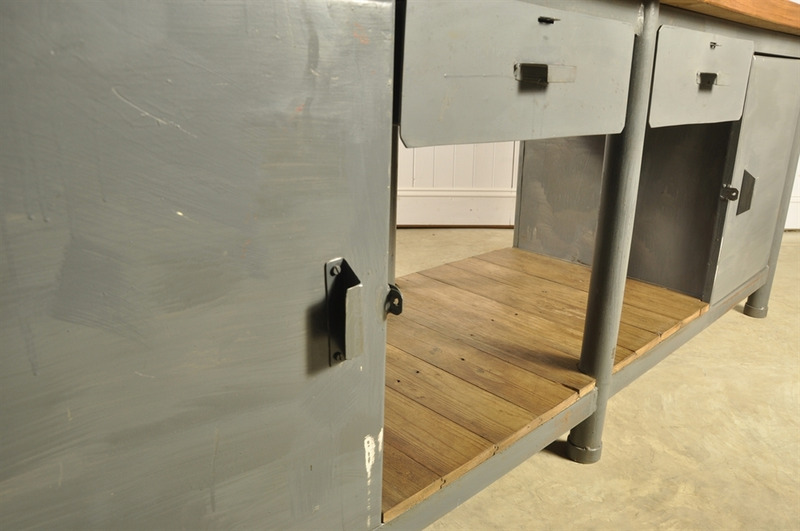 Notably on the left hand door. 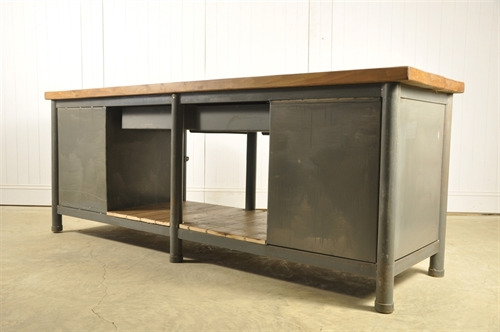 87 cm h x 227 l x 69 d.